Two-year-old Hester Bonning died this date, November 12th, in 1847 of Meningitis and was buried at Bethel Burying Ground. She was the daughter of Charles Bonning. 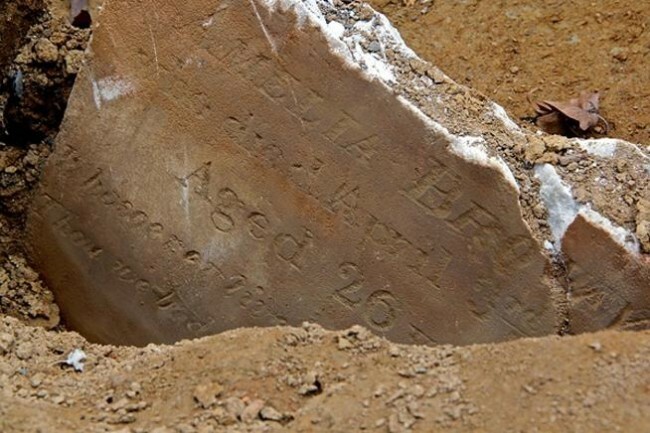 Hester’s mother’s name has not been located. The Bonning family lived in a shack in the backyard of 246 carpenter Street in south Philadelphia. The hovel was 8’x8′ for which they paid $2 a month. Many times these structures were former hog pens or stables. Mr. Bonning was a “jobber” or day laborer and Ms. Bonning worked as a laundress. Hester had an older brother according to the 1847 African American Census. The census worker recorded that the famil was “very poor.” After this, there is no mention of the family in any other census records. The Bonning family (red star) lived three blocks from the Bethel Burying Ground (red diamond).